More than one month after a 7.5-magnitude earthquake killed more than 160 people in Papua New Guinea, the World Food Program said some 270,000 people still require humanitarian assistance. [post_ads]The U.N. agency said Monday it airlifted 80 metric tons of nutrient-dense biscuits to the Pacific island -- enough to feed about 60,000 people. Sheikh Mohammed bin Rashid al-Maktoum, vice president and prime minster of the United Arab Emirates, provided the plane for the food delivery, WFP said. "More than 60 percent of [U.N. Humanitarian Response Depot] transports originate from Dubai. This makes Dubai WFP's largest humanitarian hub in the world, thanks to the excellent logistical facilities and ongoing Government support," said Stefano Peveri, head of UNHRD in Dubai. 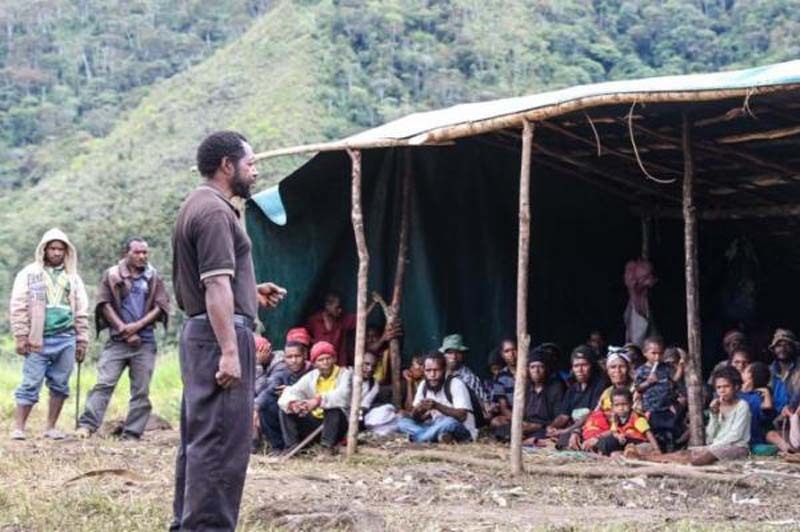 Before the earthquake hit February 26, Papua New Guinea was already experiencing food scarcity. About 60,000 people were "severely food insecure" before the temblor, the WFP said. "The earthquake and its aftershocks have further impacted people in the most vulnerable areas of the country, destroying root crops and vegetable gardens; the primary food sources in the affected area," a release from the agency said.